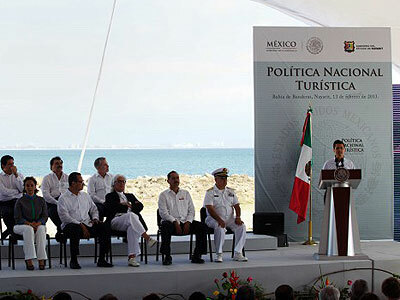 During the presentation of the National Tourism Policy, President Enrique Peña Nieto said that the actions of the Federal Government regarding tourism will focus on creating a safe environment for travelers in the country. To ensure the success of the National Tourism Policy, “It is essential to offer tourists, both domestic and foreign, a safe environment. We will continue working to improve public safety, which is undoubtedly an essential condition for building and promoting our country, ” he said. 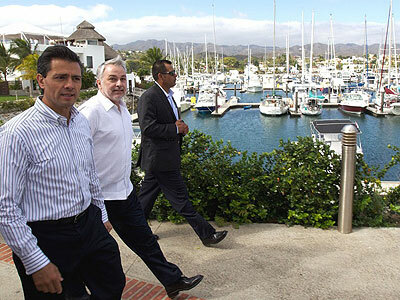 As a country with a privileged geographical location, a great potential for connectivity, a large stock of natural, historical and cultural attractions, Mexico has also shown a great capacity to offer quality tourism products, he said. “Mexico has everything it needs to become a global tourism power, and we are going to achieve this; we want to be a world-class destination,” he added. The President declared said the National Tourism Policy is based primarily on four guidelines. First: Planning and Sectoral Transformation: the institutional framework will be restructured to improve decision making and ensure the effective implementation of the various programs to boost tourism. In order to coordinate government efforts, he ordered the creation of a Tourism Cabinet, to be led by the President. We want to achieve full coordination with the governors and the Head of Government of the Federal District to align the policy of the Federal Government with the efforts of the various states of the country,” he said. He announced that he had instructed the Secretariats of Tourism and Economics to develop a competitiveness agenda for each of the country’s different tourist destinations. He also asked the Secretariat of Communications and Transportation to ensure that the National Infrastructure Program, to be presented shortly, includes a clear approach to tourism. She said that the tourism sector, due to its ability to promote regional and community development, create formal quality jobs and protect, promote and disseminate our natural and human assets, is a significant driver of identity and social cohesion. 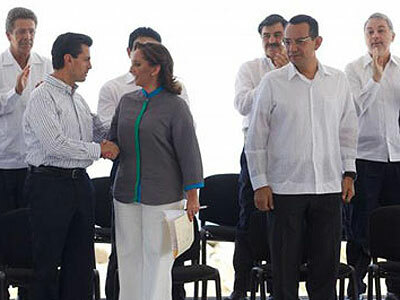 This means that it is in a unique position to contribute to the five major objectives that President Peña Nieto has set for his government, he said. The Secretary of Tourism said that the president’s statement is clear: it is essential to work towards a peaceful, inclusive, prepared, prosperous and Mexico to meet the demands of the globalized world. For his part, the president of the Iberostar hotel group and tourist services, Miguel Fluxá Rossello said that Mexico has an enormous potential and is one of the few nations that has the conditions for developing tourism. However, a great deal of work remains to be done regarding security in tourist areas, and reducing red tape for foreign companies planning to invest here. “I’m glad to see that the performance and promotion to boost tourism has begun. The best promotion we can achieve is quality, “he said. 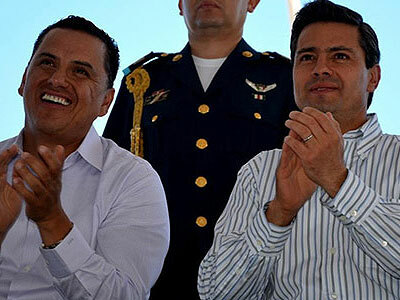 Sandoval Castañeda acknowledged President Peña Nieto’s decision, “To encourage the growth of this important sector and regard it as a cornerstone in Mexico’s incorporation into developed countries,” he said. 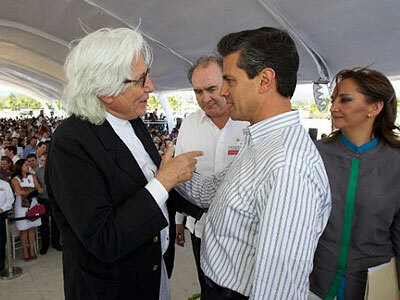 President of the Confederation of National Chambers of Commerce, Services and Tourism (CONCANACO-SERVYTUR), Jorge Dávila Flores said that connectivity in the country must be increased to facilitate transport for tourists, improve infrastructure in this area, encourage investments, and ensure the safety and integrity of travelers, in order to consolidate Mexico as one of the most popular destinations in the world.